We have come a long way, baby. When a group of women were asked what the ideal relationship was, none of them mentioned traditional marriage. Hmmm. 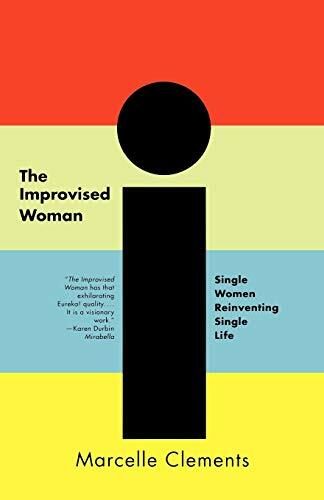 Far from a collection of woeful tales of singledom, The Improvised Woman thoroughly debunks the traditional perception of lonely single women. Author Marcelle Clements takes a journalistic view of her interviewees, who range in age from their 20s to their 90s, and her objectiveness is refreshingly telling. Says one woman about her lover, "I would never marry him. I think any woman who reaches a mature age would be foolish to. Why should I give up my independence? Why should I give up my privacy?" The majority of women that Clements talked to certainly aren't afraid of single motherhood ("it's much easier to raise children by yourself than to handle children and be a wife at the same time"). Their lives are full of passion--but passion for anything but men. Most of the divorced and widowed women profiled in the book are much more self-actualized and content with their lives than they were when they were married. A frequent refrain heard from these women is that "the ones who aren't hopeless are married," and that it's better to be alone than to feel lonely while maintaining empty relationships, which one woman described as "unsatisfying limbos."